Hartford Family House Harford Family House exclusively serves families experiencing homelessness with children. Class of Housing: Harford Family House exclusively serves families experiencing homelessness with children. Largest provider of transitional housing for families with children experiencing homelessness and unaccompanied adults ages 18-24 in Harford County. One year program moves a family from homelessness into safe, basic and decent housing. A fully furnished one or two bedroom apartment greets the family as they begin their journey towards self-sufficiency. Once stabilized, the family can begin to work on their individual goals which may include: credit repair; increasing marketable job skills; finishing a GED program; finding employment; and addressing medical and mental health needs, positioning the family for independence and self-sufficiency. Be a volunteer. 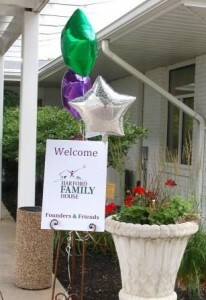 Call Hartford Family House at 410-273-6700 for current volunteer work opportunities. Posting Comments below is for viewers on this website only. If you have information that can help users regarding Hartford Family House, please provide it below.